"Forum : Vol. 38, No. 01 (Spring : 2014)" by Florida Humanities Council. Contents: A Florida icon is under siege : Could you imagine Florida without oranges?-- Dream fruit for a dream state / By Gary R. Mormino -- The Great Freeze dashed dreams -- Working to ensure survival of citrus / By Adam Putnam -- The citrus wizard : A 19th-century Chinese immigrant was an amazing character / By Jon Wilson -- Florida Grows : Farmers throughout the state produce a surprising variety of cropsâ€”from landscaping plants and sugar cane to sweet corn and watermelons -- Humanities Alive! -- Stitching a legacy : Lake Apopka farmworkers attribute their pervasive health problems to pesticide exposure / By Lani Friend -- A community brought to life -- Hard work and dreams : 'Harvest of Shame' depicted grim truth / By Gary R. Mormino -- Wewahitchka: A brutally beautiful Eden / By Michael Lister -- A Nicaraguan heart : A physician dreams of bridging cultures with modern medicine / By Claudia Martinez. Florida Humanities Council., "Forum : Vol. 38, No. 01 (Spring : 2014)" (2014). 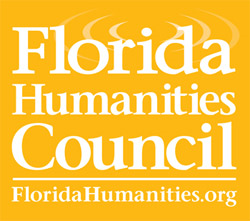 Forum : the Magazine of the Florida Humanities Council. 74.